There’s been a lot of change with Samsung recently but don’t fear as we’re still selling Samsung supplies! 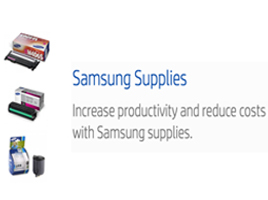 You can still buy toners and cartridges for your Samsung machine from Printerbase! Samsung inks and toners provide exceptional quality prints and are specifically designed to get the best performance from your Samsung printer and to maximise quality. The results? An ever-reliable printer that you can rest assured will deliver every time with no issues and interruptions. The reliability you’ve been looking for. Also, look out for high-yield cartridges that offer more pages and better running costs for your printer. Free next-business-day delivery on all orders. Easy ordering of items via phone, email, fax or online. Dedicated account manager to help you. Rated 9.6 out of 10 by our customers on TrustPilot.